The May 14th, 2013 political cartoon from the Halifax Chronicle Herald. 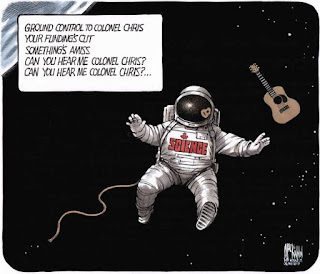 The May 14th, Halifax Chronicle Herald editorial, "Hadfield a bright star in a tired galaxy" seems to have said it best when it stated that "as Canada’s celebrity astronaut Chris Hadfield returned to Earth on Monday night, it was to a fascinated public and some real challenges back at head office." 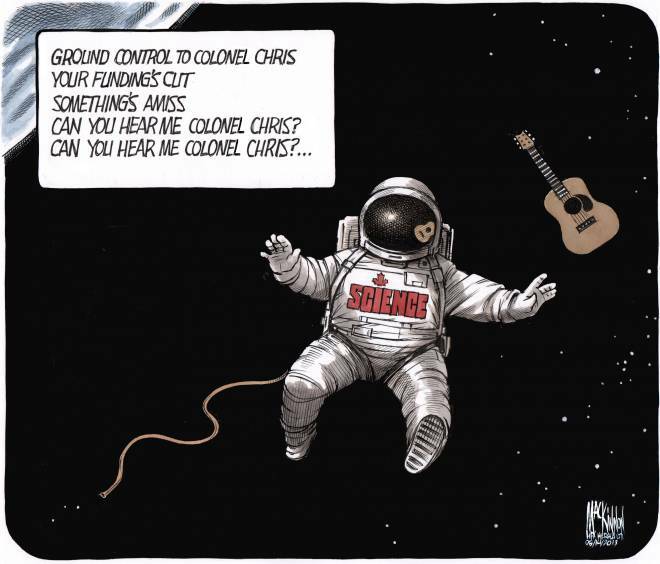 It then followed up the article with an amusing political cartoon focused on Canadian Space Agency (CSA) and science funding cutbacks. Of course, the Chronicle Herald wasn't unique in it's assessment and it's worth noting that others went further. ...shouldn’t be one of scientific discovery, but of inspiration. For decades, mankind’s push for space was military-led, secretive. The idea of the commander of a mission sending back videos of himself wringing out a wet cloth to show how water behaves in zero gravity, or explaining why you need to be careful making a sandwich in space (crumbs, you see), would have been unthinkable. But now space exploration is opening up. The ISS itself is a multinational operation, and dozens of countries have advanced space programmes. 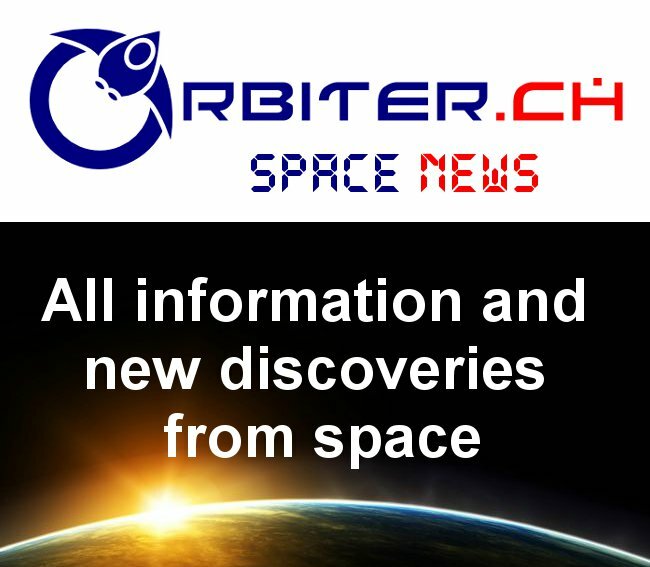 More excitingly, commercial enterprises are joining in: last year, the module Space X Dragon became the first privately owned spacecraft to dock with the ISS. More than a stern-faced officer-scientist or boy’s-own-adventure hero, what space exploration needs now is an advocate: someone who can remind us why we wanted to go to the universe on our doorstep in the first place. In essence, Hadfield has performed admirably in the role of reminding us why we should explore the universe in the first place. But it's also good that Hadfield understands that this is a separate and entirely different role from the more general role of space science advocacy, the slightly more specific role of advocating increased government funding of Canadian science and the very specific role of advocating increased funding for the CSA.